When two people are in a relationship, it is important for each one of them to demonstrate in some way the importance of the other in his/her life. The problem often arises in a relationship when these two people don’t speak the same love language. They don’t speak to the other’s deepest emotional need (a need that has been shaped by their childhood). We want to be loved by the other and valued as worth loving by that person. So how you express your love is important in a relationship. You may be saying, “I love you, ”to your significant other, but he isn’t hearing it because he doesn’t speak your language. 1) Words of Affirmation-Some people need to hear the words from their loved one to believe they are loved. They need verbal compliments and praises. 2) Receiving Gifts-To others the receiving of a gift from their loved one tells them they are loved by that person. The gifts don’t necessary have to be expensive. The thought behind the gift is what is most important. It tells the person he was thinking about her. In a time of turmoil the gift of your presence can be what is valued the most. 3) Acts of Service-There are some who need love expressed through doing something for them. It could be something like doing the dishes or taking out the trash. It is important that the act of service is given freely, not demanded. 4) Quality Time-Another love language is spending quality time with your loved one. I don’t just mean being with him. I mean really talking and listening to him. You must be totally focused on him to the exclusion of everything else. Within this are also quality activities. When doing things together, one should want to do the activity and the other has agreed. You are showing your love by doing the activity together. 5) Physical Touch-A touch on his arm as you walk by, holding hands on a couch, or a back rub when he is tense can be to some an expression of love. There are many levels of physical touch and not all have to be intimate to show you love someone. This was a very interesting book to read about relationships. I would highly recommend it to people to read. It helps to look at a relationship differently. As a writer it helped me to deepen the interaction between a hero and heroine. With my characters, I could determine which love language he/she spoke and use that in my story to show love as well as ways to keep a distance between two people. Do two people have such different love languages that they are constantly clashing? 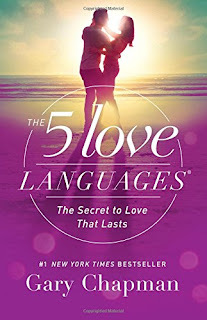 What love language are you? Words of affirmation are my main love language with acts of service close second. 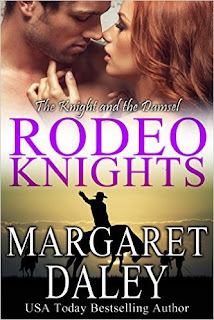 This month I have a new book out called The Knight and the Damsel. Retired champion bull-rider, Michael Knight, leaves his ranch when his younger brother calls for help. Someone is sabotaging and poisoning rodeo animals. Determined to stop them, Michael takes a job in the center of the action as a bullfighter. Bella Rosenthal is one of the few female bull-riders competing with the men. Someone is harassing her, and Michael decides to solve that case as well, but Bella doesn’t want any help. She insists on taking care of herself until one of her bull rides is sabotaged, and she is nearly killed. Michael and Bella work to find out who is behind what is happening on the rodeo circuit while fighting their growing feelings for each other. Mine is quality time. I want to spend time with my loved ones.